An imbalance in chloride ions during a fetus’s development is one of the factors for autism, study shows. Some children today show clear symptoms of autism only a year or more after birth, such as the impossibility to focus on eye contact or poor language development. The study made by neuroscientist Yehezkel Ben-Ari and his team at the Mediterranean Institute of Neurobiology in Marseille (part of INSERM, France’s national biomedical research agency) administered bumetanide or a placebo, respectively, daily during the three months trial to 60 children who were previously diagnosed with autism. Autism is a neurodevelopmental disease characterized by defective communication and poor, uncoordinated social interactions, as well as repetitive behaviors. Previous research has shown that the molecule called GABA – a neurotransmitter damping down neuronal activity presents low, altered activity, due to increased level of chloride ions in the brain cells. The reduction of the chloride levels is one of the major scientific hypotheses of treating the condition. The team enlisted 60 autistic children and treated them either with bumetanide or a placebo to replace it daily, for a three month period. The subjects who were suffering of less aggressive manifestations of autism showed mild improvement in their social behavior after taking the drug and, even more importantly, no side effects. The current research was supposed to answer the skepticism of the scientific community concerning the role of the GABA neurotransmitter, by identifying its specific contribution. Previously, it was shown that GABA should inhabit the neurons, while in autism it is altered and activates brain cells activity instead. Another premise of the study was that the system malfunctions at birth, when GABA releasing neurons switch from activating neurons to populating them. The information was immediately linked to the increased level of chloride in cells, as a drop in the level of concentration of chloride ions in neurons was believed to be the one making the switch in the first place, reason for which bumetanide – known for reducing the level of chloride in cells – should be capable of restoring inhibitory GABA function and improve, as a consequence, autism symptoms. 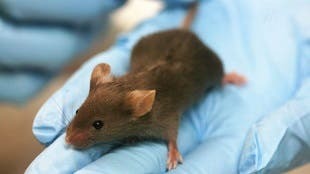 Two different animal models for autism were studied in order to give the research extra significance: mice with a mutation that is known for causing fragile-X syndrome in children (consisting in a range of intellectual disabilities and dysfunctions, especially among boys and being possible to observe for the physical traits such as elongated face, protruding ears, macroorchidism and behaviorally known for stereotypical movements and social anxiety) and mice exposed to anticonvulsant drug activity during the pregnancy. The results of the experiment showed that neurons in the hippocampus remained excitatory in response to GABA and did contain higher levels of chloride than the normal dosages. When bumetanide was administrated a day before the birth however, the pups manifested fewer and less aggressive autistic behaviors, producing vocalizations more typical for the normal rodents. What the paper did not specify is whether the solution is only short-termed or lasts throughout the entire life. The scientific community suggests caution however, because of the discrepancies in the development stages at birth, since the rats are more matured at birth, but the experiment makes the treatment possible for trial with all the risks taken into consideration.